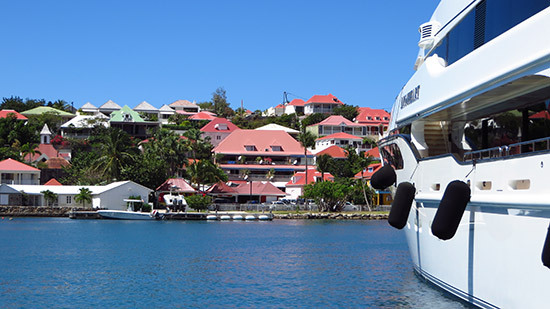 Your Ticket To St. Barths! 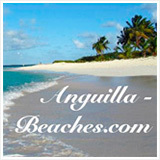 Blessed with tranquility, soothing vibes, genuinely kind people and beautiful beaches, Anguilla is a favorite for a reason. 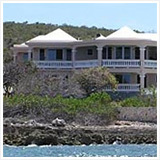 Before moving to the island, we always chose Anguilla as a vacation destination to purely relax... "Do nothing and then rest," was the motto. But, on each trip to the island, we would always take one day to mix things up. 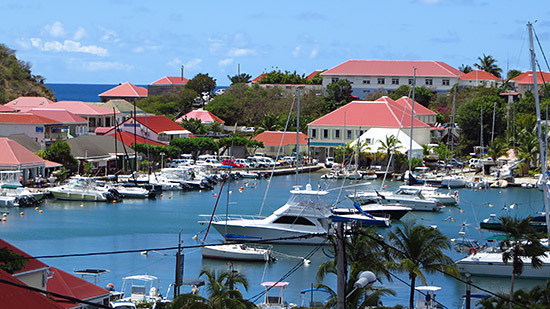 We would head to St. Martin's Marigot for a day of shopping, dining and taking in the different French island vibe. 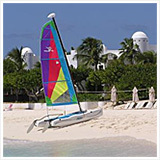 Just a boat ride away, a trip to St. Martin was both fun and convenient. Absorbing Caribbean cultures of a different kind has continued to appeal to us over the years. Our new must-visit for a day? 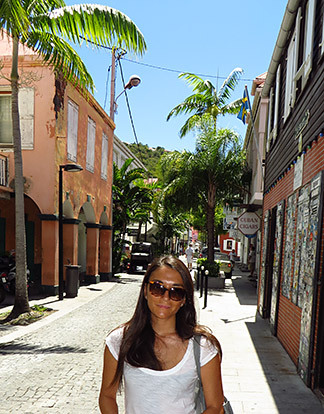 Gustavia, St. Barths. 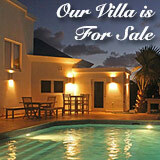 Accessing St. Barths from Anguilla is now easier than ever. 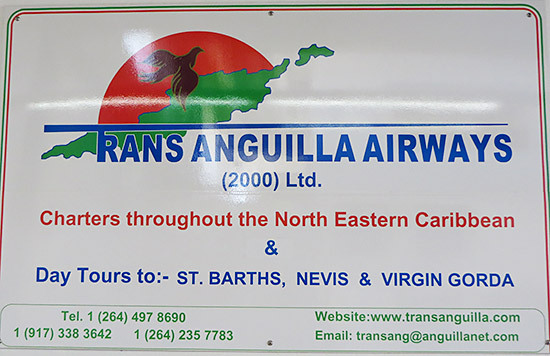 The only British-certified airline in Anguilla, one that adheres to the most stringent of safety laws, Trans Anguilla offers affordable flights to St. Barths weekly. 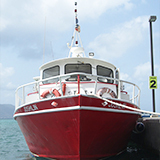 Tuesday-Friday they make the 15 minute hop to St. Barths for $280 round trip (April-November) and $498 (December-March). 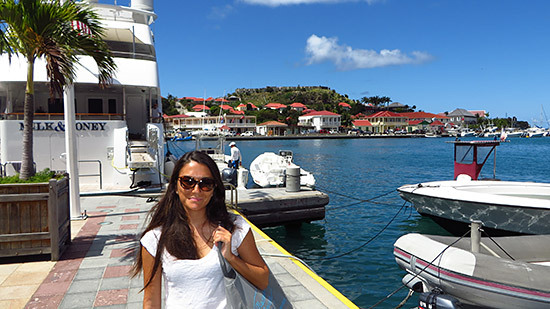 Update 2017: The current rate is $180 per person each way + $35 St. Barth tax. 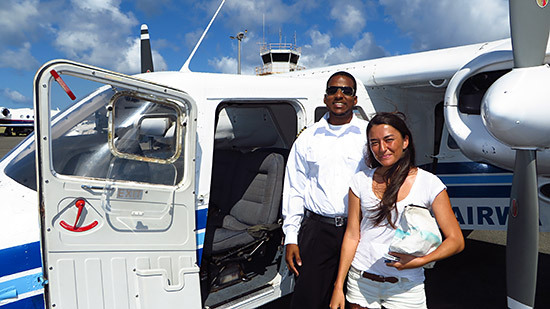 When we got word of this ultra smooth way of getting to St. Barths, we called up the owner, good friend Vernol Gumbs and arranged for a day of fun in the sun in St. Barths. The process was, in one word, simple. Efficient, even. "Just show up 15 minutes before your flight," Vernol told us. And, we did. The kind lady at the counter greeted us warmly, taking our passports and getting us all set up. We paid our departure tax, breezed through security and were soon on our way. 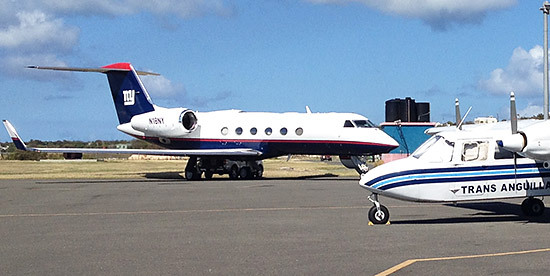 We even spotted the NY Giants' jet on the tarmac (see photo above)! We wouldn't be flying on that plane, however. 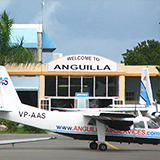 Trans Anguilla has two planes in their fleet, both nine seat Twin Otters. An intimate flight, we would be flying with just one other couple, fellow Canadians. 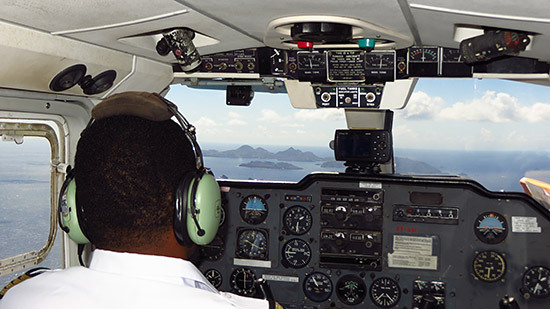 Captain Elvis, the youngest man in Anguilla to become a certified pilot, would be our Captain for the day. 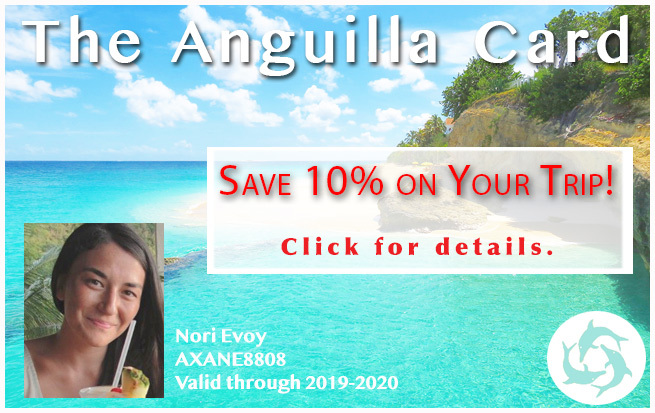 An accomplished pilot (he has the most flight times recorded for his age in Anguilla's history), he makes you feel totally at ease with his relaxed and cool demeanor. Just to take in the sheer beauty of the region, I'd recommend hopping on here! 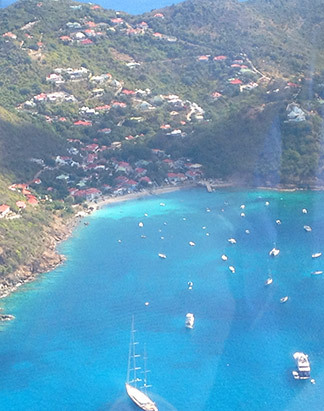 Now, St. Barths is famous for its steep and harrowing landing. 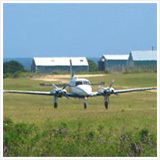 Planes make a quick descent over mountain-top and a fast landing on the runway that leads to sandy beach. It can be down right scary. But, that is only true if you are on a bigger plane. If the plane is larger, over ten seats, the plane nose dives to get in close, hitting air pockets along the way. With that in my mind, I braced myself as we prepared for landing. I waited for the drop, but it never came. No bumps, no steep landing. Twin Otters are tiny, making the descent far more gradual, smoothing out any bumps and removing the need to turn the plane on a 45° angle. 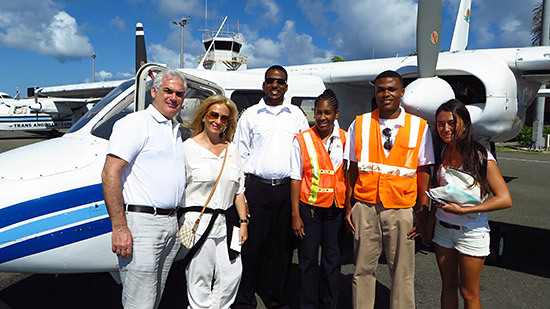 This is another reason to fly aboard Trans Anguilla to St. Barths! 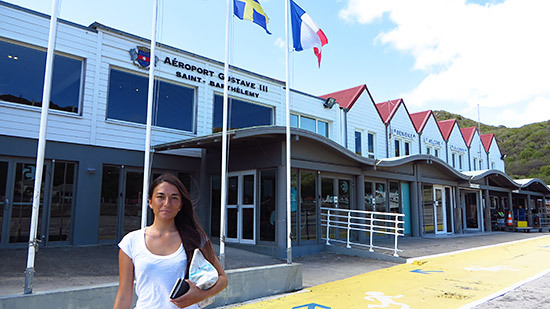 With St. Jean's beach in the distance, and the clean, modern French airport ahead, the setting exudes European luxury. A quick passport check at immigration and we were on our way! 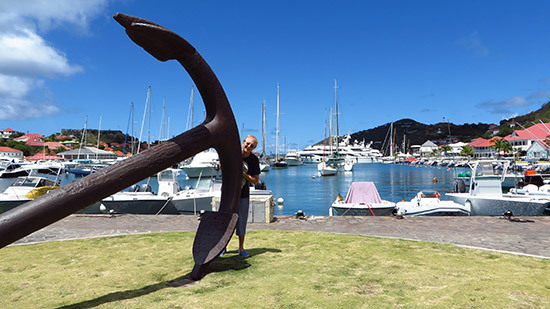 My Dad and I started our day in the heart of it all in St. Barths' capital, Gustavia. 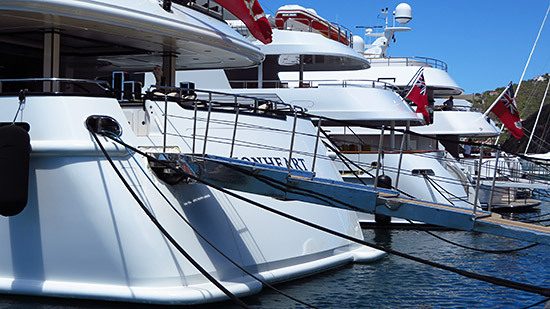 The action begins where all of the yachts and boats come in for clearance. We meandered down this road, passing popular shops such as Quiksilver. 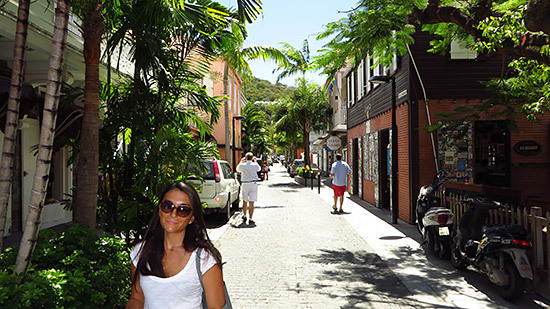 And, my favorite shop in St. Barths, Hortense St. Barths. 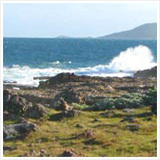 Native to the island, they specialize in chic clothing made for island temperatures. French-inspired and stylish, there is always something special in this shop. Made of a unique linen blend, the cover-ups, skirts, dresses and tops fit nice and loose, while still complimenting different frames. Further into the center of town and the brands go from trendy and affordable to ultra-luxurious and "haute couture." The most popular shop of all is the Louis Vuitton store. 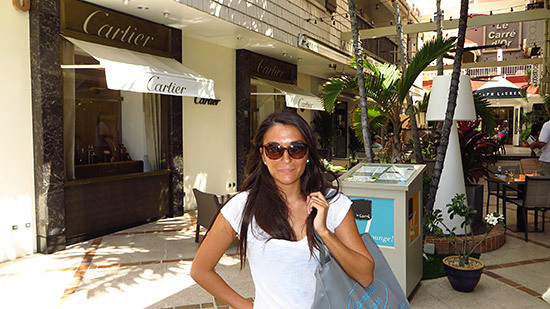 Just around the corner are other shops such as Cartier and more affordable stores including Ralph Lauren, Calypso St. Barth and Vilebrequin. 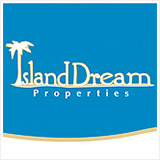 Intermingled with these popular big names are smaller, independent stores like Clic Gallery. The treasures and unique gifts and finds are many! Merchandised expertly, everything in St. Barths is attractive. In between our shopping and browsing, we stopped at a few cafes for a quick Oasis Peach Iced Tea, and we even found one café that served macaroons ONLY! This truly felt like France. 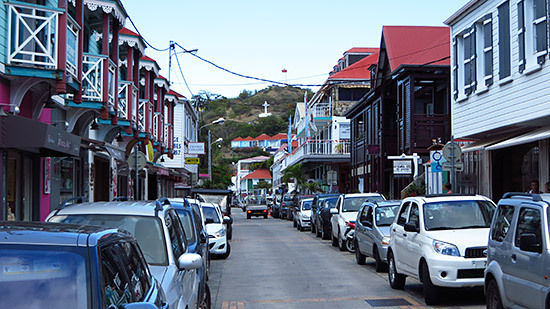 This "main strip", home to shops and cafes, is just one street back from the waterfront. The harbor forms a horseshoe. We circled around it before heading back to where we had come, the "main strip." 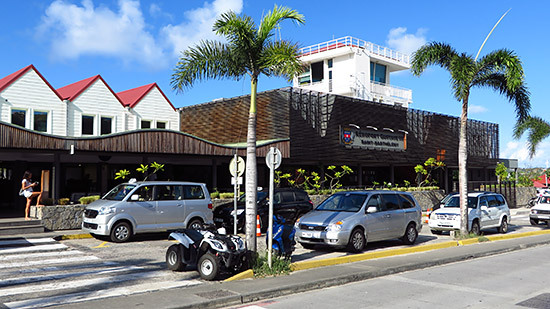 Having walked its length, we took a left turn this time, walking up to the second main street in Gustavia, complete with more independent shops and tasty eateries, including an affordable pizzeria. We meandered, feeling very much as if we were in France. 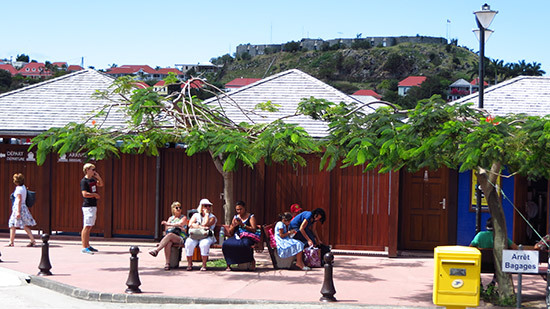 Ever-exotic, luxurious and effortlessly cool, Gustavia is a must-see. Naturally, it wouldn't be an adventure with my Dad unless we did some real exploring! 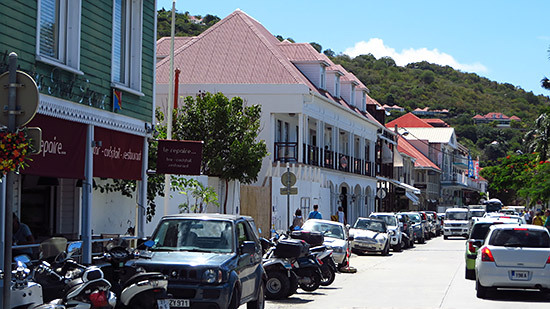 Above the second main street in Gustavia there is one last little stretch of road. All residential, I argued with him, not seeing the point in hiking up the steep, steep narrow street to get there. But, my Dad pressed on, me huffing and puffing trying to keep up. Tired, hot and thirsty, I was ready for lunch. 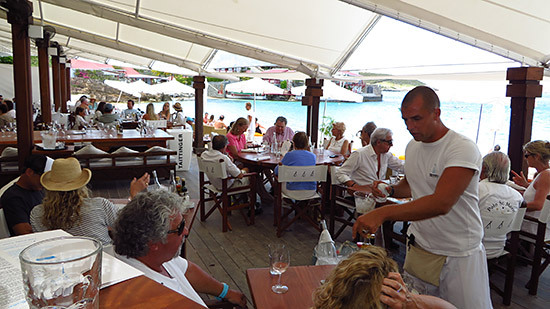 Although there are terrific restaurants within Gustavia, we were seeking something a little more Anguilla-style, laid-back, on the beach and with a breeze. 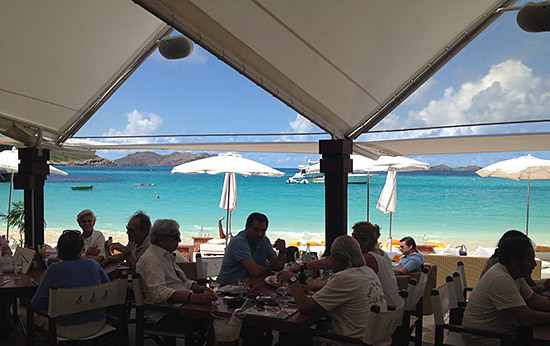 Set in St. Jean (home to the famous Eden Rock hotel), just a two minute drive from the airport, Nikki Beach is the #1 must-visit restaurant in St. Barths. Our timing couldn't have been better. Without a reservation, we arrived just before it filled up fast. Inside, under a white tended roof, the room was a-buzz with older Europeans sporting button-down shirts with cuff-links and younger American couples wearing fedoras. Without a doubt, this is a spot to see and be seen! A patron's birthday, an impromptu sax performance was held. There was dancing on the tables, laughing, clapping, the whole restaurant taking part. It's THE place to be. 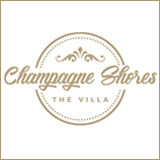 With a trendy vibe, full of energy and life, with young guests, older guests, families, it's a place for everyone to hang out and embrace that French "joie de vivre!" In a food coma, I could have lazed on a chair on the beach for the rest of the afternoon (don't forget to bring your bathing suit if you're planning on visiting Nikki Beach). 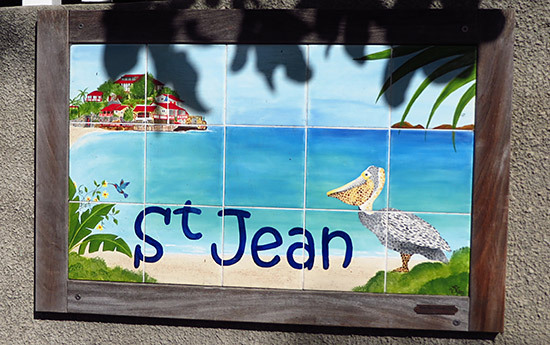 But, we opted for a little jaunt through St. Jean before heading back to the airport. 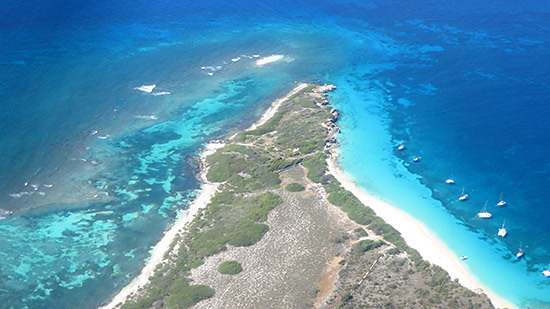 So close to the airport, ending the day at Nikki Beach in St. Jean is ideal. You are never far away. Once back at the airport, check-in was hiccup-free. I wish every airport experience could be similar. 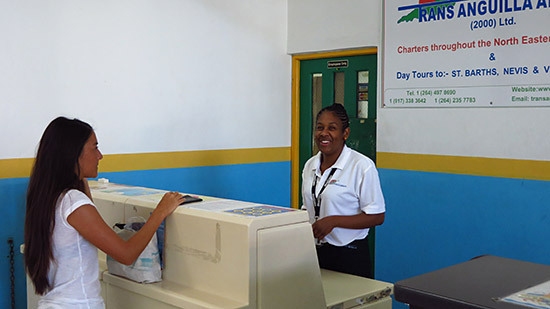 One security officer verifies your passport and boarding pass, and that's it. No paper work, no body scan, just straight into the departure lounge. The icing on the cake? Shortly after we showed up, our fellow Canadian couple arrived, too. Although we were all early, we were the only ones on the plane and we were all there. The pilot said, "Want to head home now?" 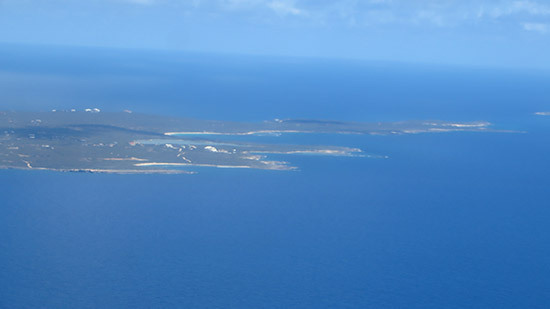 Within a half hour, we were back into Anguilla calm. 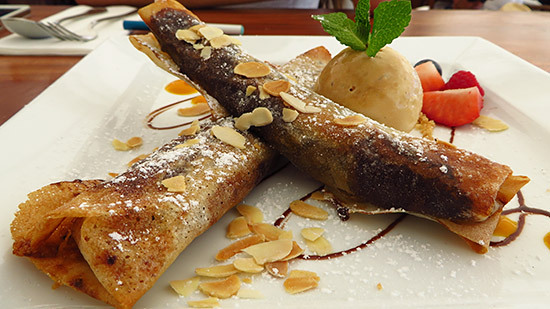 At long last, we now get our "French fix" anytime just by hopping aboard one of their weekly flights.